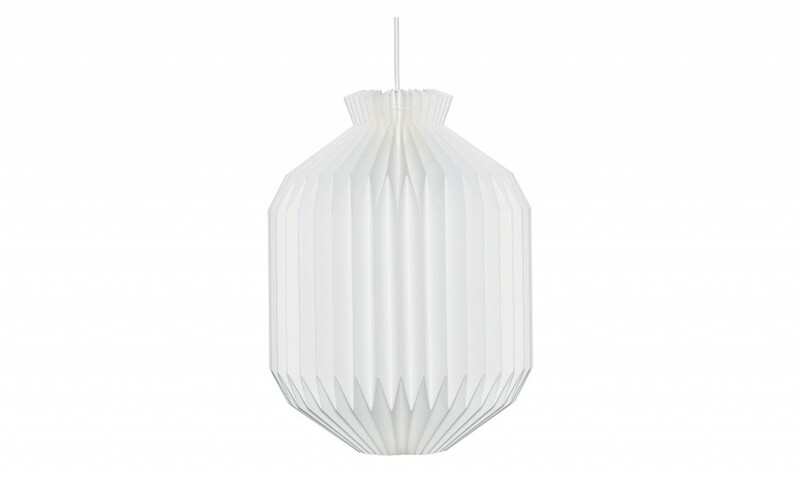 In 1945, Mogens Koch simplified the myriad of cross-pleats in Kaare Klint’s Fruit lamp to create this more stringent lampshade design. 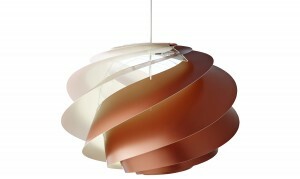 The oval shape gives the lamp a more sedate expression, closely allied to traditional Chinese paper lamps. 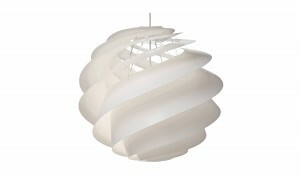 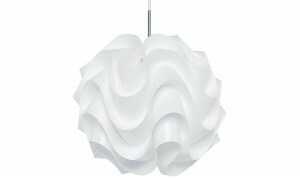 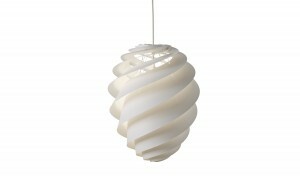 The enclosed shape makes it suitable for hanging from a high ceiling.